On a wet and cold Autumn morning we decided to go to the local flea market and have a wander. You never know what you will find. This morning I fell in love with this dresser. Isn't it just beautiful? I love the legs !! 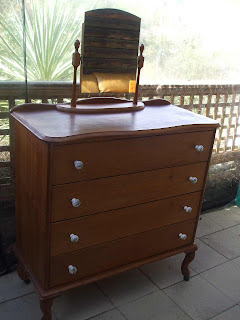 If you have been following my blog for a little while you will know that I am planning a shabby bedroom makeover and this dresser will be perfect for it. I will start sanding it this week and then will give it a bit of shabby loving. 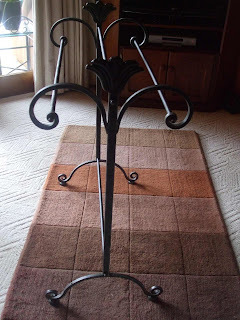 I also found this lovely wrought iron towel rack which will be perfect for quilt displays - It too will receive a shabby makeover. I bought both for the grand sum of $100 which I think was fantastic. 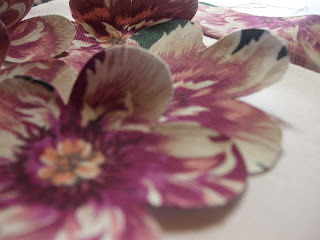 If you want to see some more of this week's flea market finds in blog land POP ON OVER HERE. I also found these this week at Spotlight. 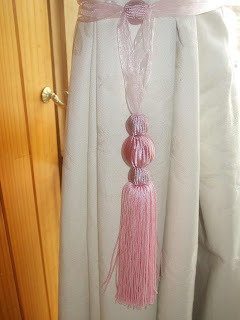 I am going to make new curtains as part of the makeover and these tie backs will be perfect. I thought I would share my Chicken Wellington recipe with you today - They are a family favourite and are very easy to make. I use puff pastry sheets for this as they make it very easy. 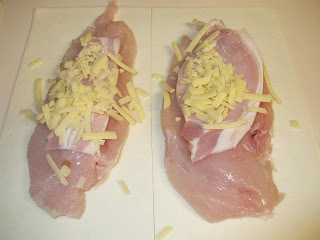 Slice your chicken breast in half through the fat part of the breast to make 2 thinner breasts. Cut your pastry sheet in half and lay a breast on each half. Place a small piece of bacon (1/3 of a rasher without the rind) and a sprinkle of cheese on the breast. Fold up both ends of the pastry and then tuck the ends under pressing to make it stick. Prick with a fork and place on baking paper on a baking tray in a 180 degree celcious oven for around 40 minutes. 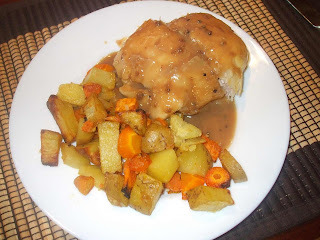 Serve with my vegetable bake (back a few posts) and a nice gravy or pepper sauce which we love. 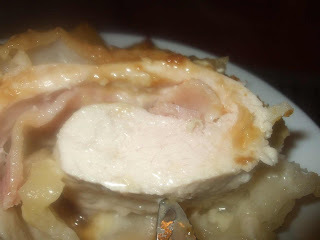 This is a delcious hearty meal and a great budget buster - I made 8 Wellingtons from 1kg of breasts. If you do not allow the pastry to completely defrost you can wrap each Wellington in glad wrap and then freeze until you are ready for them. Don't they look delicious? 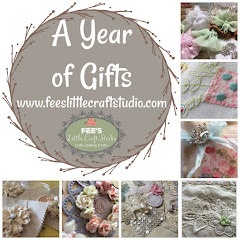 It is still raining here this afternoon so we are about to watch some DVD's and maybe even light our first fire for 2010 and I will do some more work on my "Ugly Swap" item which is progressing slowly. I hope that you have had a wonderful weekend !! Thanks for sharing that simple idea for chicken breasts Fiona. You can count on me trying that one. I love your new blog look and wow your finds for your shabby bedroom, mmmmm if you decide they're not right send them in this direction. Wow - you got some WONDERFUL finds there, and a bargain price! Can't wait to see how they come out after the makeover. Love the tassel. Luv your recipes Fiona...will be trying that one during the week. Nice market finds. I'm afraid we're still eating all things zucchini, I'm so over it but DH insists we waste none! There's more zucchina bread in the oven and next to go in is zucchini slice. Yuk! Oh dear I always put on weight when I visit your blog Fiona but enjoy doing so. Fantastic finds at the jumble sale as well. Very lucky. what a wonderful dresser! i agree that those legs are just fabulous. Wow that dresser is fantastic and what a bargain ! 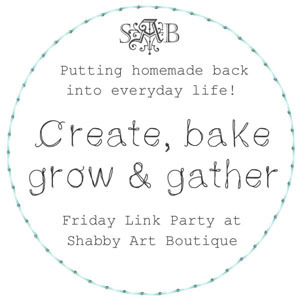 I'm looking forward to seeing it shabbied ! Those are great finds! I especially love the towelrack/quilt rack. Nice buys. And what a bargain. Looking forward to seeing the makeover. Thankyou so much Fiona for your recipes...We had your vegies and Chicken Wellington for dinner tonight, and even the kids said it was awesome! 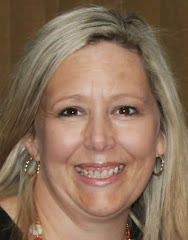 I have put it on my recent blog post with a link to you! - you got some WONDERFUL finds there, and a bargain price! Can't wait to see how they come out after the makeover. Love the tassel. Fabulous finds! Love the dresser, how gorgeous! Thanks so much for playing along! Thanks for the recipe, it looks yummy. You ladies are very creative. I also made the Chicken Wellington and veges last night and it was fantastic, had left overs today for lunch terrific. Great shopping too, will be interested to see what you do with them. Thank you Jen, I have c/p it to my cooking book! !